Last week, the news of a retired Chesterfield firefighter who was killed in Mesa, Ariz., reached us. The Mesa Police Department is not sharing many of the details of Charlton Hogwood’s death, but said it has been ruled a homicide. At this point, no arrests have been made, and the investigation is ongoing. 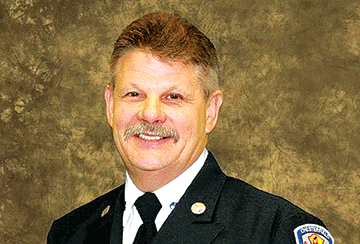 Charlton spent 30 distinguished years with Chesterfield Fire & EMS. The news hit everyone who knew him very hard. A firefighter who graduated from rookie school with me stated that Charlton was the one you would want to come if you were in a fire. Charlton was a great firefighter. Whether he was on the engine crew or the truck crew, he knew his job and did it well. The incident commander had a trusted and knowledgeable set of eyes and ears, and was a true work horse in the building. In fact, there are many younger firefighters on the job today who have been touched by Hogwood’s expertise. I had the privilege of working with Charlton for my entire career, though we served on different shifts. When Station No. 8 in Matoaca went to 24 hours, we had two-person shifts. I was on C-shift and had the opportunity to work with him. One time, we got knocked out to a large woods fire on the bank of the Appomattox River. This was when we wore what we called jewelry shirts, in other words, shirts with badge and collar pins. When it was hot, we could go down to our T-shirts. I remember that when the incident was over, Charlton walked out of the woods with a tattered T-shirt, compliments of a bunch of briars, which he ripped off. That was the intensity with which he fought fires. There is no telling how many lives Charlton saved or touched in his 30 years. I know that we all loved him. He was also a tire changer for the Lennie Pond race team. My brother-in-law and I, fellow firefighters, were reminiscing about Charlton and he reminded me that Charlton was a crew chief for Lennie’s race team as well. I remember going to Southside Speedway and watching Charlton race one night. Charlton dealt with a lot of tragedy in his life, but he was larger than life.